Here’s the perfect wake up call for your eyes—purchasing a good peach/pink corrector to help brighten and cover discolouration under the eyes. Peach correctors are becoming very popular in the mainstream makeup world, not only for makeup artists but for your average consumer too. 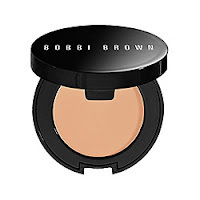 These correctors are pink or peach based formulas to help combat and neutralize darkness under the eyes. So many consumers are using basic skin tone concealers that are much too light to cover under eye darkness—what you don’t realize is that light colours highlight and draw attention to the area whereas darker shades set back and conceal. Peach pigments work much better than your standard skin tone shades to counteract dark circles which have blue or purplish undertones, and to cover post-blemish marks, veins and shadows or bruises for olive to darker skin tones. Pink based concealers are great for creating brightness and life to dull skin and suitable to lighter skin tones. Here are my favourite products and brands to bring brightness and life to your under eyes. 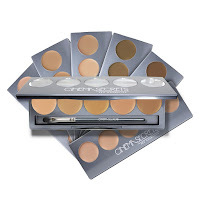 Popular California based company with correcting palettes and individualized correctors that are popular in the majority of TV station makeup rooms across the country. Full coverage concealers/correctors. 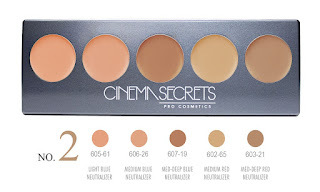 I highly suggest purchasing corrector palette No 2 – it carries all 3 peach correctors along with 2 red neutralizers. The best peach tones from lightest to darkest skin tones are #61 light, #26 medium, #19 mid-deep. I always prefer to use my correctors after I have applied foundation to escape looking caked. Use a small amount of product on a synthetic concealer brush and apply in a triangular shape under the eye covering all areas of improvement. I love using a stippling brush then to blend and be sure to set with a translucent powder for all day wear.